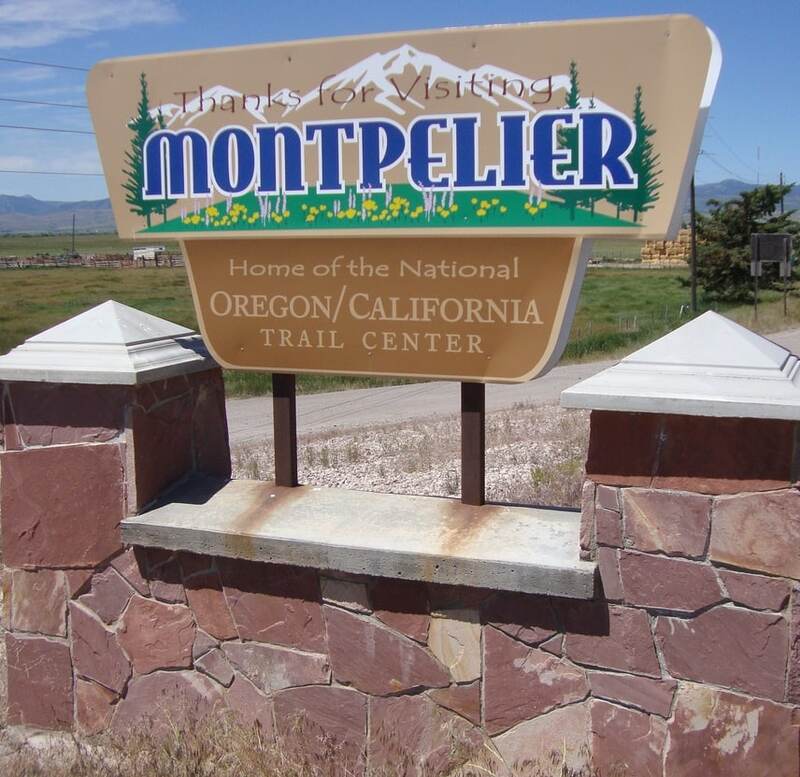 In Montpelier, Idaho we found The National Oregon California Trail Center, which offers those who travel to this out of the way town a real treat. On our Rocky Mountain Road Trip adventure we found lots of unique stops, but of course time limits the amount that can be seen. We both enjoy historical places that focus on the period of Westward Expansion. Crystal enjoys the stories of people’s lives, and their experiences during these trying times. I like to learn about the tools they used to tame the land, and help them cross the rugged terrain. Visitors are escorted through the exhibits by character actors portraying various professions that would be found in days gone by. After paying our $12.00 each for admission, we were introduced to our guide. Dave, our Wagon Master, escorted us to the small store, where he explained the items that we would need on our 2000 mile journey. He showed us a variety of tools we would have used to complete our daily chores on the trail. 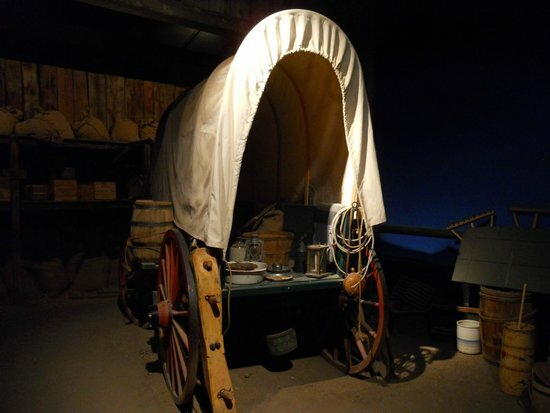 Next he showcased our wagon that would serve as our transportation, storage, and lodging for the hard road ahead. We were loaded into a simulator, which uses audio/video technology to help guests get the feeling of what it would have been like to cross a river. Once safely across, we exited the other side of the wagon, and found ourselves at our nightly campsite. Here we were greeted by Mrs. Adams, one of the other travelers on this journey. She beckoned us to join her by the campfire, and then proceeded to tell us about the evening rituals that we would have experienced. Along with this historical lesson, she peppered in a little campfire gossip about some of our fellow wagon train members. It was quite educational and entertaining. As the stories continued, the artificial evening wore on. Soon the sunset spreads across the sky, and the red lights of dusk start to fade. Our visit draws to a close, and we are ushered out of this area, and back toward the main entrance. Visitors exit the auditorium, and walk through an art gallery featuring a variety of western pieces. Before leaving, we stopped in the gift shop for a couple of mementos of our stop. 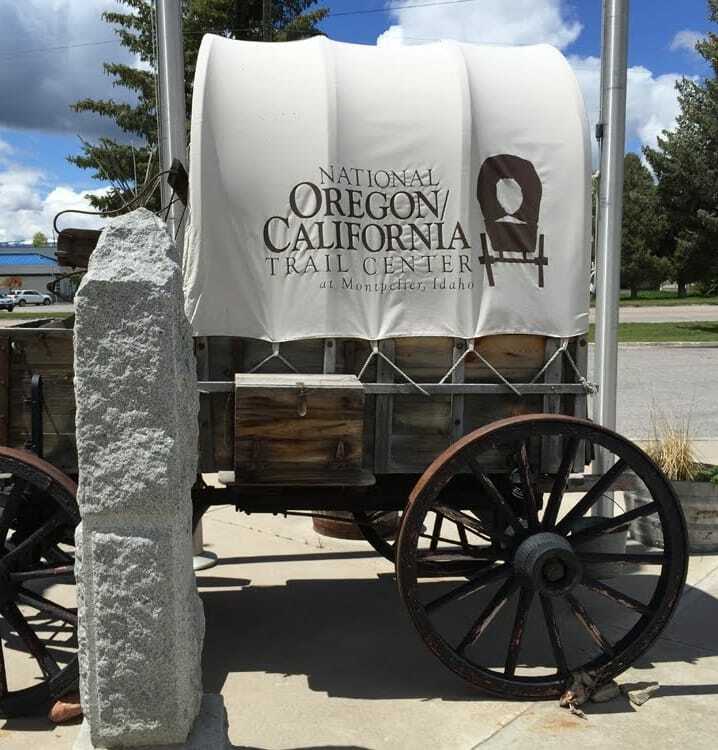 Our visit to The National Oregon California Trail Center was a fun way to experience history. The actors really helped make the experience fun for the guests. As we drove off southward toward Bear Lake, we found ourselves with plenty of new discussion material. I loved this museum when we visited. The actors make it come alive. Did you by the game? No, but we purchased a coffee mug that looks like an old campfire cup, and some other souvenirs. Great post! It’s now on my bucket list. 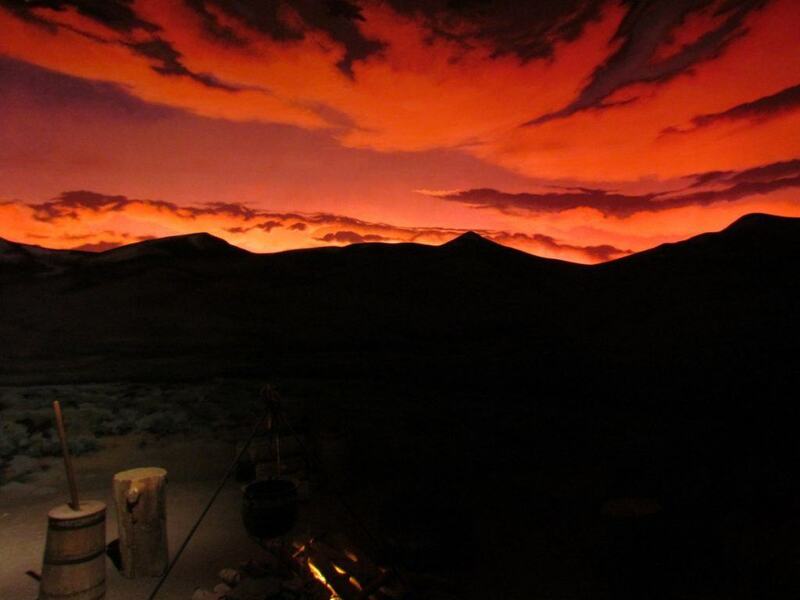 Last year I visited the Oregon Trail Interpretive Center near Baker City Oregon and it was awesome. Here’s my story about it: https://goo.gl/9vszTv . I will share this blog for you. I’m glad I found your site! Thanks for visiting us. We have seen your work, and began following you, as well. We hope you get to make it to this fun museum. Me too! So many places but so few dollars. Lol. Wow! This was such an animated narration! While reading, I felt that I am experiencing this with you. This looks interesting. We love visiting museums too and learning about the culture and how the people are or were. It’s always good to take a piece of where you traveled to with you. Very interesting! This museum really allows visitors to immerse themselves in what life was like all those years ago. Yes, it was so much fun. This is lovely. For just $12 you can go back in old days 🙂 A great way for kids educational tour! Most certainly a kid friendly experience. This looks like the game “Oregon Trail” come to life. I’m all in. Thanks very much for the post. A lovely post. I am sure it might be a different experience as the different actors greet you and let you experience and live in those periods. Awesome. It probably is a different experience for each group. Definitely a visit to consider! More museums should learn from their example. I love how the centre has built this story to take you back in time by “guiding you on the trail”. It’s so much more interactive than just a simple museum! 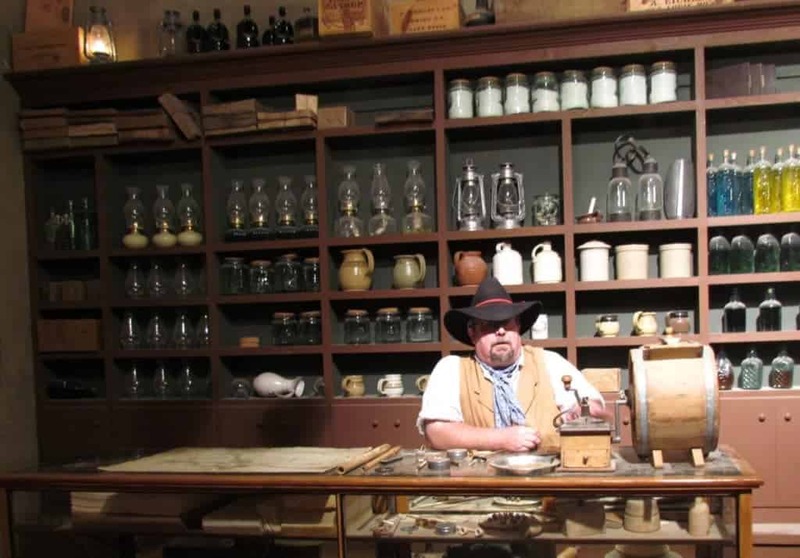 That’s an awesome way to make the visitors feel about the heritage and culture of National Oregon… Reminds me of London Dungeon, which works in similar style to educate London’s history! We will have to put the Dungeon on our bucket list. Wao, such an impressive narration. You’ve some great writing skills. And this place is now on my bucket list. Thanks for the compliments. We hope you make it there some day. I like the museum’s exhibits and displays! 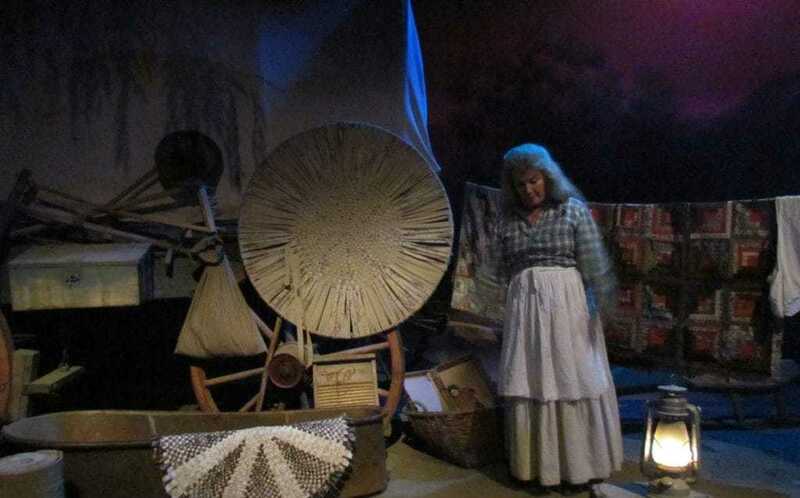 The visitors can experience the rich history and culture of people living in those eras. I saw a similar museum at the visitor center when I went to Grand Canyons! Then we will have to add the Grand Canyon to our travel list. Thanks.